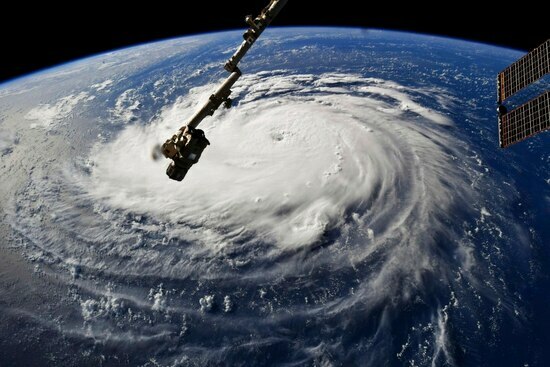 Marines were returning to their South Carolina base Wednesday after their evacuation order was rescinded, and airmen were planning multiple flights into the center of Hurricane Florence as the massive storm bore down on the East Coast. The hurricane on Wednesday was downgraded to a Category 3 storm, but it was still immense, extremely dangerous and potentially catastrophic. Florence was expected to make landfall late Thursday or Friday and move slowly over land, possibly deluging areas with rain and flooding. 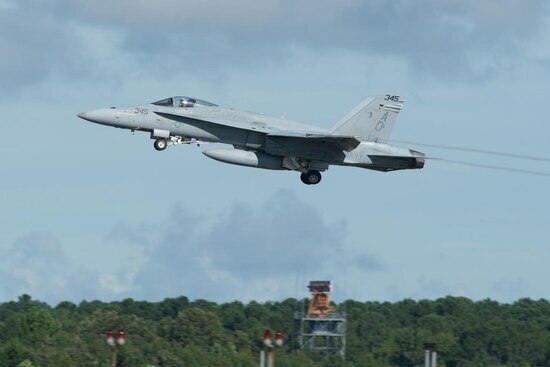 As Florence approached a region with several military installations, Marine Corps Recruit Depot Parris Island and the air station at Beaufort, South Carolina, reversed plans to evacuate thousands of its personnel. The evacuation order was rescinded Tuesday evening by Brig. Gen. James F. Glynn, the commanding officer, when new information showed the hurricane angling away from the area. 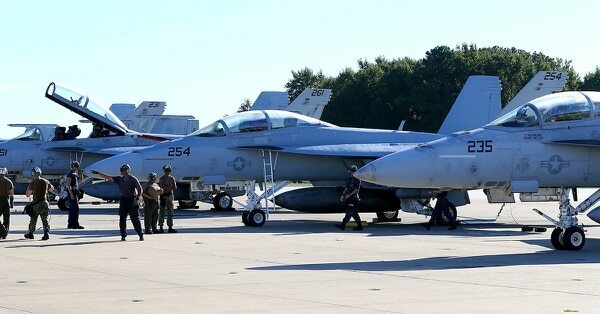 Thousands of Marines and their families had already evacuated from Camp Lejeune, North Carolina, but it wasn’t mandatory and Marine families were free to stay on base or to leave. Some families angrily questioned the base’s plans on social media. 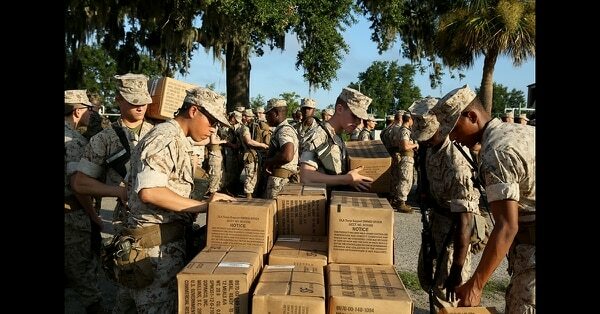 The Marine base made the decision to hold in place and ride out the hurricane. The Air Force’s Hurricane Hunters had flown two missions into the storm as of Wednesday, and they were planning at least three more, according to information Wednesday afternoon from the Defense Department. The Air Force Reserve’s 53rd Weather Reconnaissance Squadron is flying into the eye of the storm to release reconnaissance devices that collect weather data including wind speed and pressure. The data is sent to the National Hurricane Center to make forecasts and storm warnings more accurate. The missions are vital and may save lives and property, said Air Force Maj. Jeremy DeHart, 53rd WRS aerial reconnaissance weather officer. 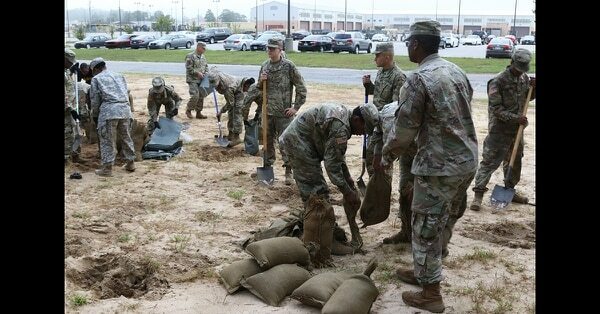 At Fort Bragg, North Carolina, officials were preparing to stage hurricane recovery efforts and said only mission- and emergency-essential personnel needed to report to work Thursday and Friday. Most of the 82nd Airborne Division’s helicopter fleet was being evacuated to sites in Georgia. In Norfolk, Virginia, officials said that the aircraft carriers George H.W. Bush and Abraham Lincoln and 14 other surface warships left Norfolk and Joint Amphibious Base Little Creek by Tuesday evening. The hospital ship Comfort joined them on Tuesday, but other vessels were left behind. Because they are undergoing maintenance, the guided-missile cruisers Gettysburg and San Jacinto will remain in Norfolk along with the destroyers Bainbridge, Ramage and Truxton, officials said. 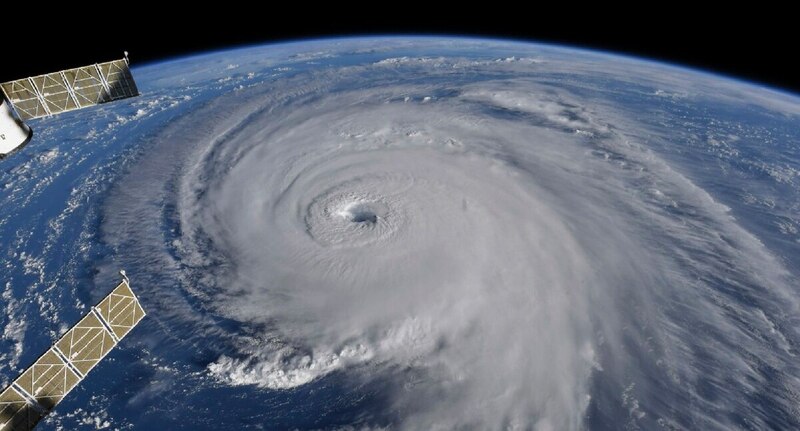 Meanwhile, Rear Adm. Charles Rock, commander of Navy Region Mid-Atlantic, ordered all installations set to Tropical Cyclone Condition Readiness Two for all those sailors who will remain ashore to weather high winds, pounding surf and heavy rains. The summer storm season affects Navy, Coast Guard, Marine and National Guard troops from the Western Pacific to the Atlantic seaboard. States that were sending National Guard members and rescue workers to areas in the hurricane’s path include Mississippi and New York, the Associated Press reported. Mississippi plans to send 60 soldiers and rescuers. Soldiers based in Meridian, Mississippi, plan airlift support for relief, flying two CH-47 Chinook helicopters. Mississippi Air National Guardsmen are deploying to Tyndall Air Force Base, Florida, for relief planning and coordination. From New York, 50 members of the 106th Rescue Wing were preparing to head for Dover Air Force Base, Delaware. 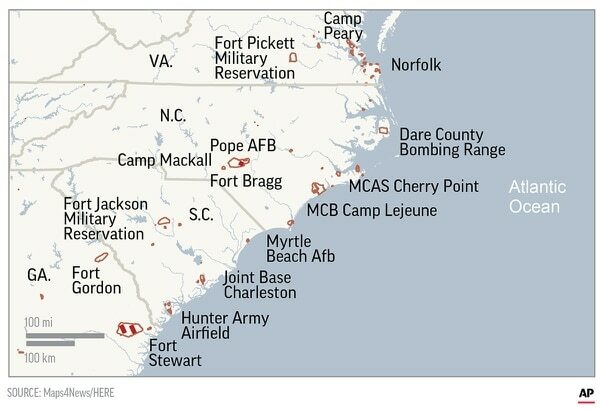 Elements of the unit were to offer assistance along coastal areas of North Carolina, South Carolina and Virginia, said New York Gov. Andrew Cuomo. The New York Army National Guard was ready to deploy two CH-47 Chinooks and two UH-60 Blackhawks to help storm response efforts. Veterans Affairs announced Wednesday that five Vet Centers and 18 community-based outpatient clinics in the projected path of the hurricane have been closed, or will be closed. 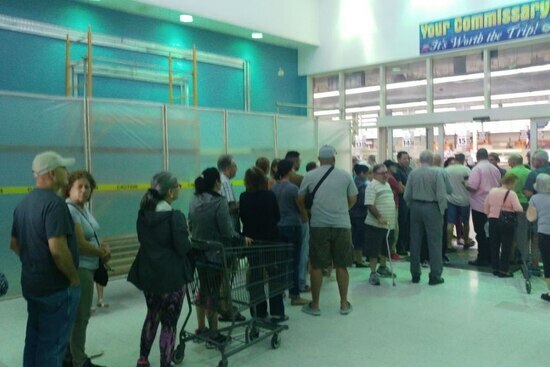 “All facilities supporting the intake of evacuated patients and remaining active during the storm have topped off their energy and oxygen supplies, and have enough food until September 29,″ according to a VA website. The website lists phone numbers for veterans needing assistance in areas affected by the storm, and updates of information on the vet centers and clinics expected to be closed. At about 3 a.m. Wednesday, the Martinsburg VA Medical Center in West Virginia took in 86 patients from the Hampton VA Medical Center in Virginia who were evacuated ahead of the storm, the Martinsburg center announced on its Facebook page. Staff writers Shawn Snow, Kathleen Curthoys and Mark D. Faram, and the Associated Press contributed to this report.